The Kidderminster branch of Brewers is a generous size, which means more than enough room to showcase our wide range of paints, wallpapers and painting and decorating tools and equipment. Our team is knowledgeable, experienced and helpful, ready to advise on everything from product features through to how to use our Wallpaper Direct and Designer Paint online kiosks where you can browse the full range. You can order samples and borrow one of our hundreds of pattern books. You can also bring your children; there’s a kids’ area to keep them busy while you browse. There’s customer parking directly outside the wheelchair-accessible store, which is visible from the A456 Birmingham Road. 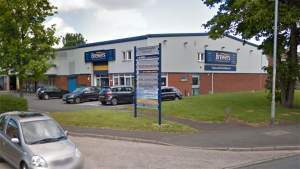 We’re on the Greenhill Industrial Estate just before you leave Kidderminster, heading in the direction of Blakedown, Hagley and Stourbridge.